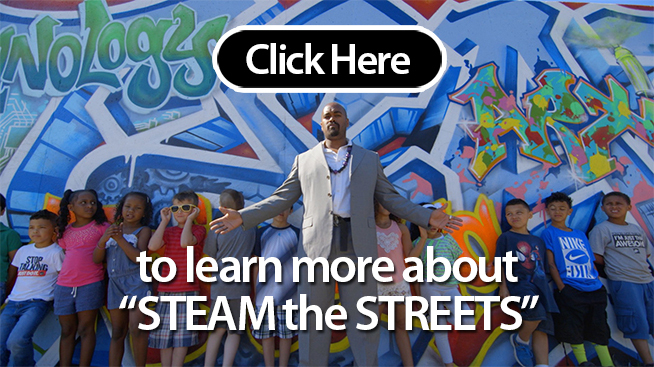 #STEAMtheStreets is inspring and activating underrepresented youth to pursue STEM / STEAM career pathways. How could a young person know what he/she wants to be, when they don’t know what’s out there? 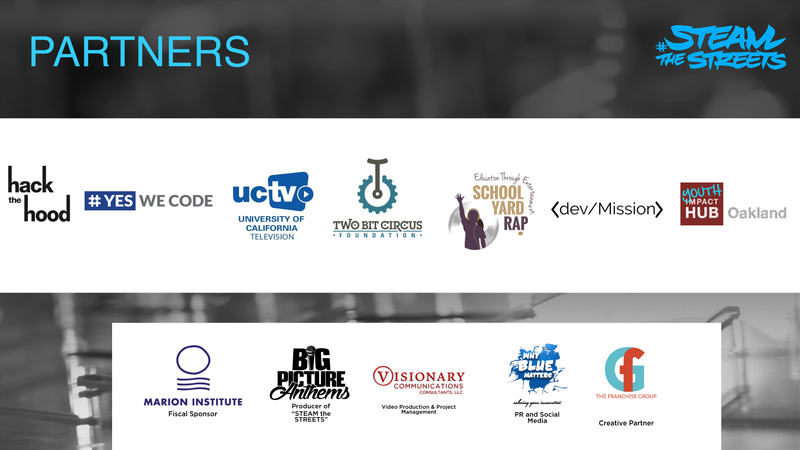 We are demystifying STEAM careers by sharing stories and job insights of diverse STEAM professionals in the field. We are bringing a missing link into schools grades 4 and up. 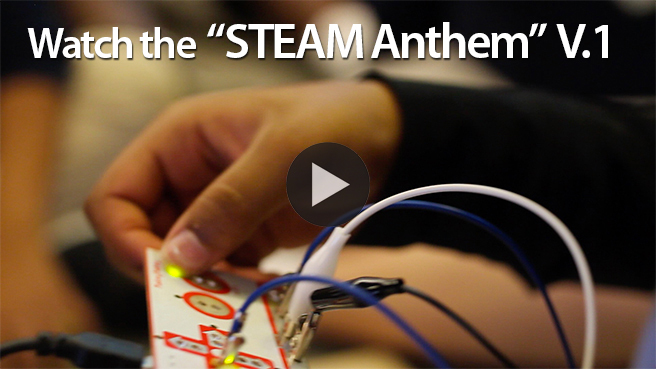 We start with sparking interest in STEAM with dynamic multimedia assemblies, and are digging deeper with classroom discussions and hands-on workshops. #STEAMtheStreets is fiscally sponsored by the Marion Institute. All donations are tax deductible to the extent of the law.